During pregnancy your body does amazing things, but these amazing things can be hard work! Our women’s health physiotherapists understand this. With expert knowledge of the physiology and biomechanics of pregnancy and many years’ experience treating women at all stages of pregnancy you can be sure of skilled support. The NHS and Royal College of Obstetrics and Gynaecology recommend keeping fit and active during pregnancy. Gentle exercise can help you adapt to your changing shape, cope in labour and get back to fitness more quickly afterwards. There is also good evidence that focused core strengthening exercises can help prevent or ease backache, pelvic girdle pain and pelvic floor problems. 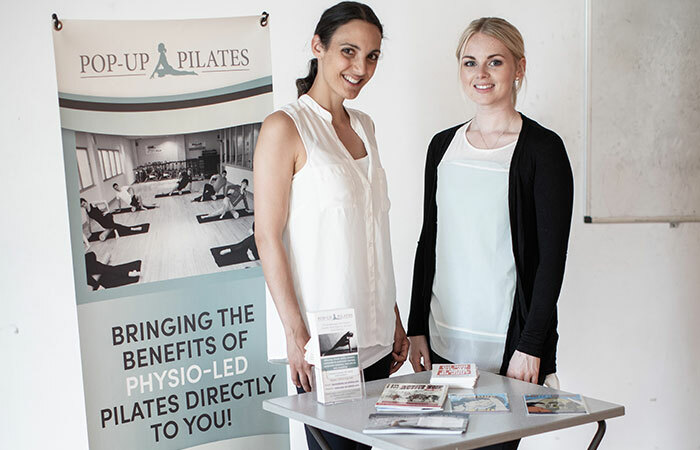 Our pregnancy Pilates classes are small, focused and specialist. These 45min classes allow you the time and space away from your busy day for you and your growing baby. We work on abdominal and pelvic floor strength whilst maintaining general strength and flexibility. Our exercises are all tailored to your ability and stage of pregnancy. No previous Pilates experience is needed. Beginners are welcome to join us from week 13 of their pregnancy. Our small group postnatal Pilates classes are shorter more focused Pilates classes that babies are welcome to attend with you. These classes are led by qualified and experienced women’s health physiotherapists with specialist postgraduate training. Our postnatal classes focus on abdominal strengthening, back, neck and shoulder stretches, and pelvic floor control through a series of mat based exercises. Each week the course gradually progresses to help you reach your goals. Our classes are friendly, fun and non-competitive. 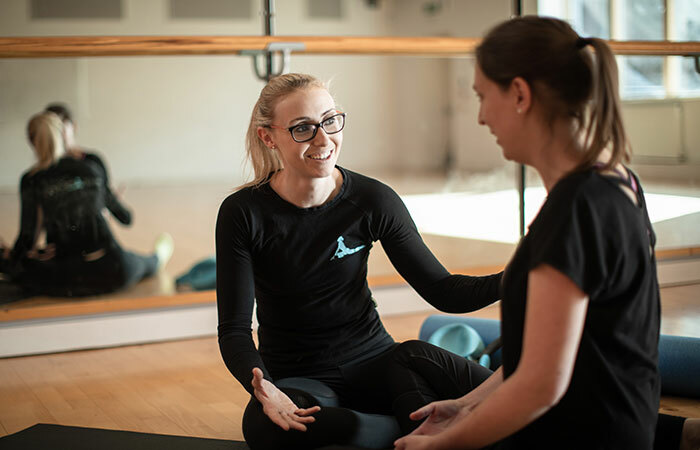 We support mums with pelvic or back pain to rehabilitate, mums with abdominal muscle problems to regain strength and control, mums with pelvic floor weakness to regain confidence, strength and support and lots of mum’s who just want to feel a bit more like their pre-baby self. Our classes are full of mums of all ages, stages and abilities, no previous experience is needed. Our postnatal classes are suitable from around 6 week after delivery and throughout babies first year.